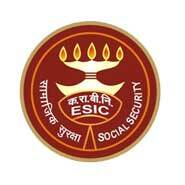 08 January 2019 - Explore Contractual Specialist Full Time/ Part Time / Senior Resident jobs in Alwar with 2 years to 4 years experience via ESIC Rajasthan. Register here to apply online for similar kind of Contractual Specialist Full Time/ Part Time / Senior Resident jobs. Qualification : PG Degree/ DNB or Diploma in concerned specialty from recognized University with three (03) years experience with Post Graduate Degree / DNB and five (05) years experience after Diploma. Candidate must be registered from Medical Council of India or State. Contractual Specialist (Full Time) : - As per 7th CPC Pay level Matrix-11 plus other allowances (as admissible)/rules as applicable in ESIC. Contractual Specialist (Part-time) :- INR 40,000/- consolidated remuneration Per Month for two session of 2 hours per day (total 4 hours) into 5 days in a week + 8000/- for emergency call and extra Rs.1000/- for every session of two hours each as per orders issued by ESIC, Hqrs. Office from time to time. Age Limits : Not exceeding 45 years as on 31-12-2018. Relaxation as per Govt.of India Rules for SC, ST , OBC and PWD candidates. Qualification : PG Degree/ Diploma in concerned specialty from recognized University. Candidates who have already completed 03 years tenure as SR in any govt organization need not apply. The candidate should have valid MCl/State registration. Emoluments : As per 7th CPC Pay level Matrix-11 plus other allowances (as admissible)/rules as applicable in ESIC. Age Limits : Not exceeding 35 years as on 31-12-2018. Relaxation as per Govt. of India Rules for SC, ST , OBC and PWD candidates. Qualification : PG Degree/ Diploma in concerned specialty from recognized University. Those without PG qualification having at least 02 year experience after MBBS out of which one year should be in concerned specialty in a reputed hospital including Junior Resident in a Govt. Hospital can be considered. For SR (one year) in casualty, work experience should be in Anesthesia or Medicine. The candidate should have valid MCl/State registration. Candidates for the Post of Specialist & Senior Residents should report on 22/01/2019 and 23/01/2019 as applicable in the office of Medical Superintendent, ESIC Hospital, MIA, Alwar from 9:00 AM to 10:30 AM along with original documents & duly filled up application Form.